The first film of the day was Chris Messina's first directorial effort "Alex of Venice". It stars Mary Elizabeth Winstead in the title role, supported by a strong supporting cast. A small dramedy, this story follows her as she copes with a crisis that shakes up her family. On first glance, "Alex of Venice" would appear to be a one-woman acting showcase for Winstead. The script is conceived around her jaded response to an abrupt separation from her husband George (Chris Messina). After years of playing homemaker for his ever busy attorney wife, George suddenly acknowledges his unhappiness and decides to leave. This fallout seems to set up a focused character study of a woman in crisis, but other elements come in to the mix. Understandably, the split significantly affects the immediate family as well, which includes her 10-year old son (Skylar Gaertner), an aging father (Don Johnson) and her carefree sister (Katie Nehra). The multifaceted plot takes the film in various directions, proving to be no easy task for the writers (Jessica Goldberg, Katie Nehra and Justin Shilton). For the son, he's losing a stable caretaker while also dealing with his own shyness issues at school. The father is trying to get back into his former acting glory, but is struggling with diminishing cognitive abilities (which was aided by George's reliable assistance with his healthcare routine). Meanwhile, the sister enters the scene and causes friction due to her crass, reckless personality. Full-length feature films could be made from all these storylines, yet here they are just sidebars for the main plot. At the forefront is Alex, who is now effectively in charge of all three family members, while dealing with a stressful case at work and facing disillusionment with love. As the film navigates these narrative threads it gets off to a promising start, establishing the perspectives of each individual. Each actor also seems perfectly cast, giving uniformly sharp performances. In particular, Winstead and Johnston are simply outstanding in their roles. In fact, Johnson almost steals the film from Winstead, nailing every scene he's in and hitting some of the biggest emotional beats. Unfortunately, the writing doesn't go quite deep enough, leaving some characters shortchanged. The wide scope is a bit out of the writers' grasp, as the diffuse nature of the material ends up making many scenes feel rushed. It's clear that there's a great concept behind it, but the execution needed some more fine-tuning. Unfortunately, Chris Messina's direction is unable to hide these flaws. So the cliché moody scenes of Alex staring pensively into the distance and walking down lonely streets feel empty. All these issues are primarily found in the film's first half however, as it eventually builds up to an lovely ending that wraps up everything nicely for all the characters. All the depth that was lacking at the start is saved for this climax. It's poignant and emotionally affecting. It's a shame that the entire film didn't capture this spirit, but at least it leaves a strong last impression. The second film of the day was a much more assured production - Amy Berg's "Every Secret Thing". This crime drama sees the acclaimed documentary filmmaker making a bold step into narrative films with this dark story of murder and mystery. Adapted from Laura Lippman's novel by the same name, "Every Secret Thing" gives us something fascinating and unique. The plot begins in flashback, depicting a pair of misfit young girls fighting at a pool party. They're both outcasts, Alice for her chubbiness and Ronnie for her underprivileged background and rough demeanor. They aren't the best of friends but are kept close due to the love of Alice's mother. This relationship is put the test however, as their involvement with a missing child leads to a prison sentence for murder. Fast forward seven years and the girls are now 18 years old and released from prison. They face the daunting task of re-entering into society, looking for jobs and acceptance within their community. However, their past comes back to haunt them when another child goes missing, with eerily similar characteristics to their original case. The film then introduces another set of significant characters by way of Elizabeth Banks and Nate Parker, who play the main detectives assigned to the case. Banks was the toast of the town for solving the original murder case and feels obligated to replicate her success once more. As they search for clues and information, the screenplay really shines, capturing our attention from start to finish. It never feels like your typical procedural, as the revelations are truly powerful. Much of the film's unique intrigue is due to its rare feminine perspective. Much of the cast is female (in addition to the director and writer) and the issues surrounding the kidnappings and the characters themselves are all distinctly feminine. Motherhood, sexuality and body image concerns are some of main themes explored and it makes the film stand out from similar films in the genre. Even with this feminine touch though, this is no soft drama. The pacing maintains the intensity, while the directing and lighting is top-notch. I'd even go as far as saying it's just as unsettling and chilling as the current benchmark style of "True Detective". These are flawed, complex female characters and the film is proud of it. If there was one thing that I found issue with, it was the characterization of the Alice character. She's portrayed in such a negative light from the start, with harsh camera angles, closeups and mocking slow motion shots. I couldn't tell if the film itself was deliberately condemning her heavy build or showing a mirror to our own subconscious prejudices. As a result, it often seems like the stark direction and the often sympathetic screenplay were clashing. The performance of the older actress (Danielle Macdonald) also exacerbated the predicament, gnawing at the scenery at times. Apart from this minor quibble though, the film is phenomenally acted, notably by Diane Lane, Dakota Fanning and my personal MVP - Elizabeth Banks. My final screening of the day ("Boulevard") was rather late at 9:30pm, so my energy levels weren't very high. It was another drama, but unlike the previous film it was a confined character study. The main character is played by Robin Williams and he's directed by Dito Montiel, with a script written by Douglas Soesbe. 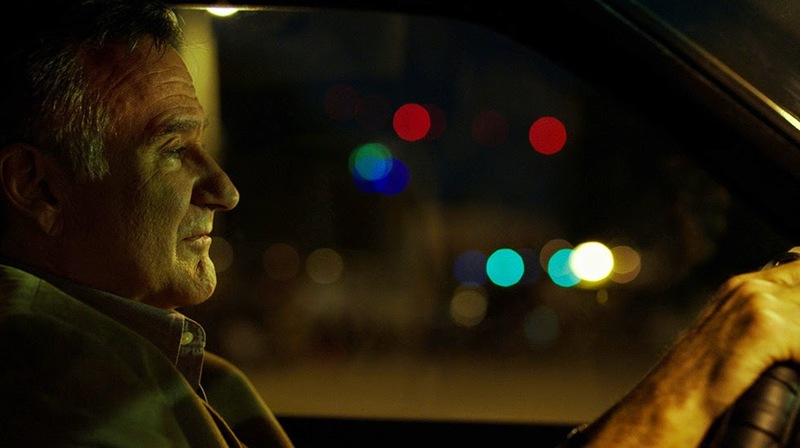 The story tells that of Nolan Mack (Robin Williams), an older man who is stuck in a rut. He endures a passionless marriage and an unsatisfying job, mostly out of a lifelong tradition of putting other people's happiness before his own. After years of self-imprisonment, it finally catches up to him when he meets a young man while driving alone one night. He turns out to be a male prostitute, sparking a long-concealed realization of his homosexuality. After a tentative introduction, they eventually form a bond, which becomes the catalyst for Nolan's personal reinvention. As I said earlier, I was quite tired for this movie, so I may have missed some minor things during brief lapses in concentration. However, I registered enough to know that: (1) the plot isn't entirely original, (2) this is primarily a Robin Williams showcase. In terms of the script, the lack of originality isn't necessarily a problem, as it turns out be very touching and relatable. Of course, most of this is due to the wonderful performance of Robin Williams at the heart of it all. If you didn't know him, you'd be surprised that drama isn't his claim to fame, as he gives a controlled, subtle performance. He certainly impressed me. On the downside however, I found the film to be a bit of a slog. The sombre feeling throughout made it far more challenging than it needed to be. Unlike the similarly themed "Beginners", there's not much humour to be found here. The omnipresent score was a big culprit, almost putting me to sleep like a lullaby. Certainly, the film deals with some dark issues (drugs, illness etc. ), but a little modicum of fun never hurt anybody! i didn't even realize robin williams had a film at tribeca this year. sounds interesting. i find his drama hit or miss. so happy to hear good things about the other films, especially every secret thing. Loved 'EVERY SECRET THING' - great movie and Diane Lane was sensational!